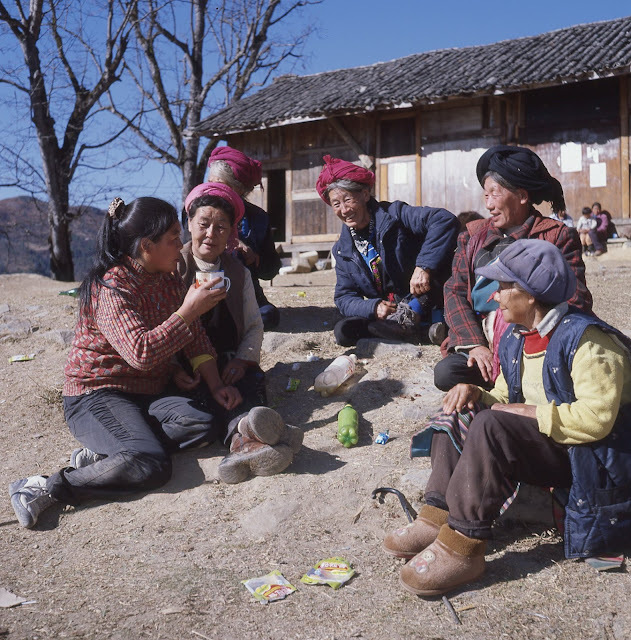 This looks like a posed propaganda photo from China Reconstructs, but it is a spontaneously snapped Rolleiflex-Ektachrome pic. I took it at the church at Baihanluo (Peihanlo as Rock called it) - the beautiful Catholic church built by French missionaries at the end of the 19th century above a tributary of the Nujiang (Salween). Rock passed this way in 1924-5 and described it as the loveliest mission station he ever saw. The local people are a mix of Nu and Lisu and they love a drink of their local maize liquor.